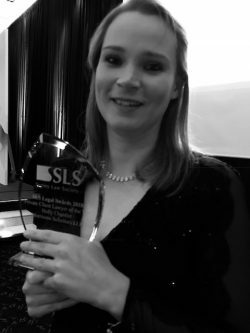 We were shortlisted for a total of three awards, and we were delighted that Holly Chantler, our Head of Private Client, won Private Client Lawyer of the Year, and that the firm also received the headline award – Law Firm of the Year. Paul Harvey, Managing Partner, commented “For some years now it has been our mission to establish ourselves as one of the leading law firms in our region. I believe that this award is recognition of the efforts and progress we have made towards achieving that goal. It was my privilege and honour to collect the award but I did so on behalf of everyone at the firm, all of whom play a vital part every day in the ongoing success of the firm. Watching Holly collect her award was also a very proud moment. Holly joined us as a paralegal and has rapidly established herself as a leader in both the firm and in the market. 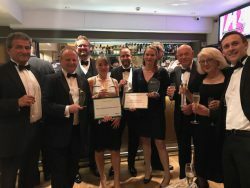 I know Holly hugely values the input of each and every member of her team, and she wouldn’t have been able win this award without their support”. 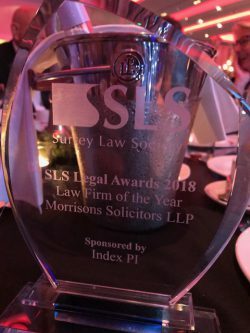 Well done to all those shortlisted, congratulations to all the winners, and many thanks to Surrey Law Society and the sponsor Index IP for organising a fantastic evening.